O God, who made the Abbot Saint Benedict an outstanding master in the school of divine service, grant we pray, that putting nothing before love of you, we may hasten with a loving heart in the way of your commands. 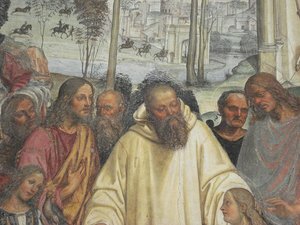 May Saint Benedict rich bless and continue to call to deeper conversion all believers, and in particular those monks, nuns, sisters and laity who follow the Holy Rule as a way life. If you are interested in knowing more about Benedictine culture, theology and living, check out Liturgical Press’ recent catalog on Benedictine Resources.